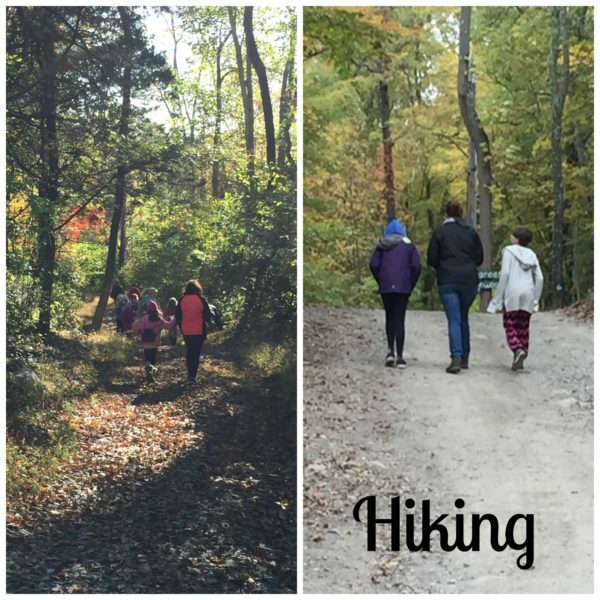 During the amazing weekend weather, the Madison Harding Girl Scouts enjoyed their annual fall encampment at Camp Hoover in Newton, NJ. 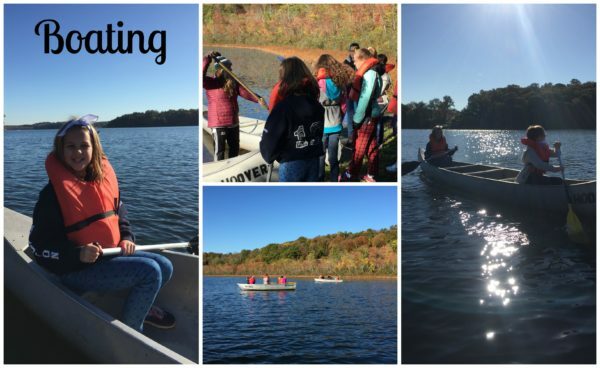 Approximately 165 Girl Scouts (Brownies, Juniors, and Cadettes) and their leaders enjoyed boating, nature hikes, low ropes, archery and crafts. The evenings were filled with sharing SWAPS (Special Whatchamacallits Affectionately Pinned Somewhere), enjoying S'mores, singing campfire songs around the bonfire, and sleeping over in cabins with their Girl Scout friends. Madison Cadette Troops #668 and #973 (8th grade students from MJS) led the encampment this year, designing the theme, craft ideas, games, and leading the events. Everyone enjoyed the beautiful fall outdoor weather and getting to know other Girl Scouts. My 6th grade troop (and I) attended encampment for their 4th year. Boating is easily their favorite activity... and I've heard that from a number of other girls as well. After donning life vests and getting instruction from the camp staff, the older girls row off into the lake. While the younger girls (like my 3rd grade Brownies who attended for their first time) have an adult in each of their boats... the older girls really love the thrill of independence that getting out in the middle of the lake on their own provides. This weekend made for absolutely perfect hiking weather. Temperatures and sunshine were amazing... and the leaves are all starting to change making the woods so beautiful. The troops all get their turn following the hiking guide through the wilderness to learn a little bit about their local natural surroundings. Girls 4th grade and older have archery included in their activities. This is the 3rd year my 6th graders have been able to practice with the bow and arrows. 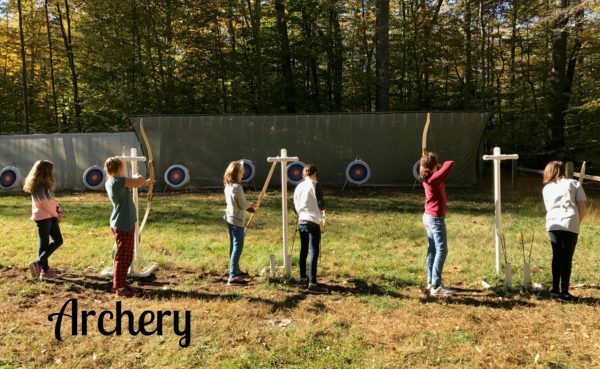 (We've also taken a group class with Jersey School of Archery in Florham Park, NJ.) It's amazing how each year their aim and control improves. I'm thinking of actually signing my daughter up for regular lessons this year... since it's one of her favorite encampment activities. One of the most exciting parts of encampment? Getting to sleep over in the amazing cabins at Camp Hoover. The cabins are all a little different in set-up and number of beds. Our cabin's main room slept 22 (11 bunk beds) and then had 2 "counselor rooms" sleeping 4 each. The cabins have bathrooms with toilets, showers, and sinks, a kitchen, and a common room with tables and a fireplace. 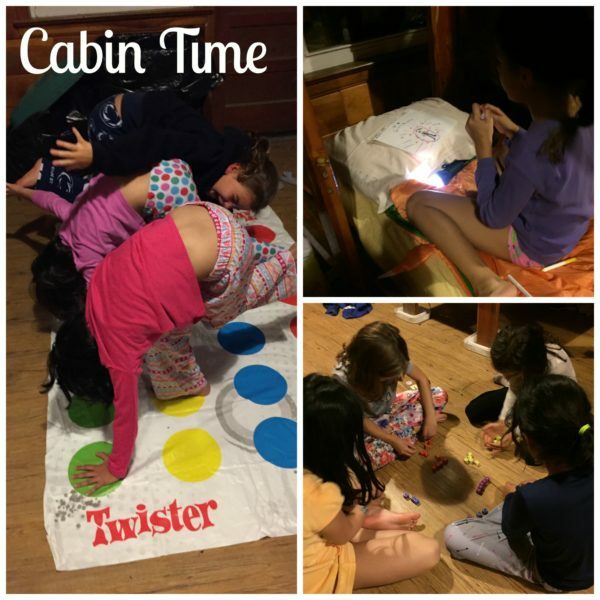 After our evening of s'mores and campfire songs the girls really loved being able to have free time with their friends before heading off to their bunks for lights out time. I have to say, encampment is easily one of our Girl Scouts' favorite activities each and every year. As we were having breakfast on Sunday morning one of our girls made a point of saying she thought this encampment was the most fun of all she's attended. 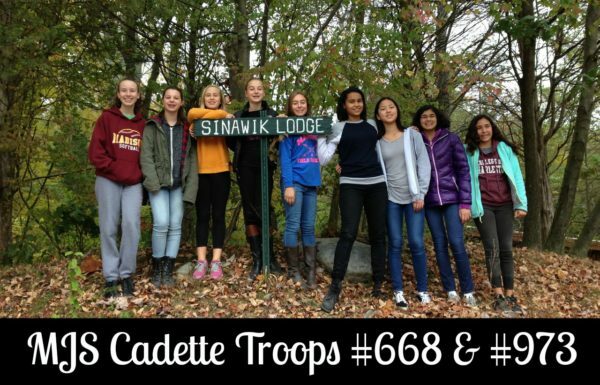 So, congratulations... and thank you... to Cadette troops #668 and #973 for leading us through a successful encampment. My girls are already talking about when we get to go next year! For more information regarding Madison/Harding Girl Scouts visit the Girl Scouts of Northern NJ website. You can also contact Corinne Finnerty, the Madison/Harding Service Unit Manager.